Racing Across Antarctica, One Freezing Day at a Time. Louis Rudd and Colin O’Brady are in the middle of a unique race across the coldest continent, and their daily tasks range from the mundane to the death defying. Each day these two competitors, who have been traveling miles apart from each other and have not communicated with each other, have emerged amid an icy desert to battle the elements and one another. They’ve felt pain and frustration, taken risks and shed tears. The irony is that flat earthers proclaim that Antarctica is not a continent on the bottom of the globe earth, but rather it is an ice wall that surrounds the flat earth. Complete nonsense as the Antarctica treaty doesn’t just let anyone do whatever on that land, it’s all staged and predetermined where you can go if authorized. Plus anyone who flies long haul knows that any cities in the Southern Hemisphere like Santiago Chile, Johannesburg South Africa and Sidney Australia can only be reached using the Northern route close to the North Pole https://www.dailymail.co.uk/news/article-2078301/Mind-sleigh-Airlines-given-permission-fly-North-Pole-time-slashing-hours-exotic-destinations.html which is a straight path on the FE model where instead on the globe model the flights should take you across the ocean close to Antarctica for the shortest route. Also my wife travels once a year from Los Angeles to Shanghai always flying over Alaska and the North Pole where instead on the globe the shortest route would be over the ocean. Stop spreading fake news. Philippe, I love how you use the term ‘Southern Hemisphere’ as it’s a globe term. 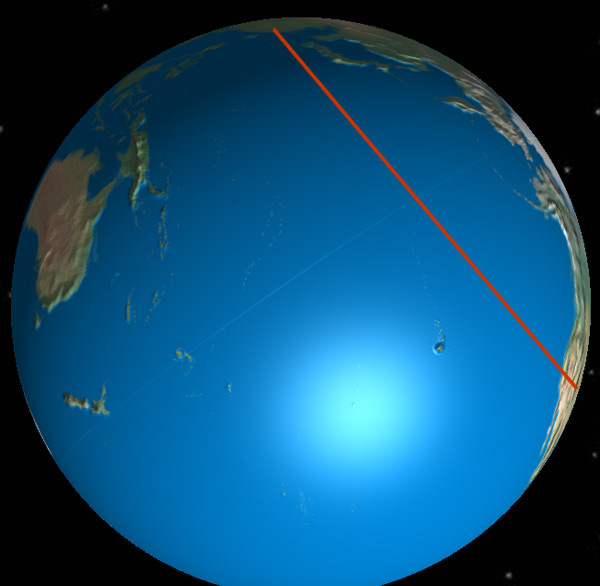 There is no Southern ‘hemisphere’ on a flat earth map. 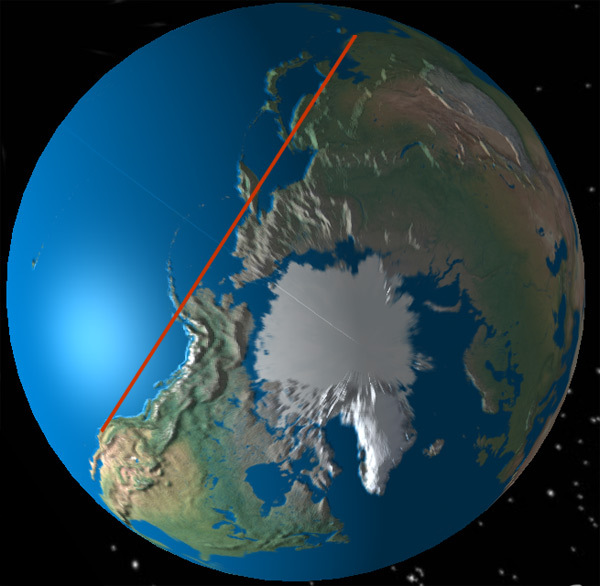 This image shows the straight flight path from Los Angeles over Alaska, to Shanghai; on the globe earth. This image shows that the flight path across the ocean may be a bit shorter, but airlines plan out flights to stay over or close to land, in case there’s an emergency. Once again, you make statements, but you fail to prove them out, and it is you who is spreading fake news.